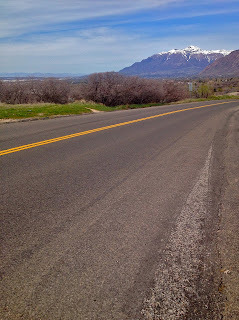 Spring time in Ogden Utah is that magic time of year when I can ride my bike as well as ski lines up in the higher elevations. On this particular day I was scheduled to be home all-day with my young two-year old son, Amos, so I was not able to get up to the higher elevations to ski. 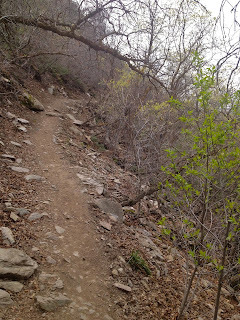 However, another nice thing about the particular part of Ogden in which I live is trailhead access is literally just a ten minute pedal away. 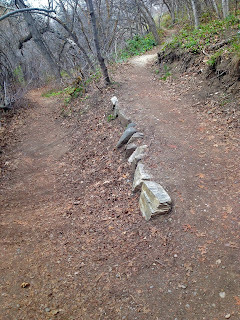 This affords me the opportunity to have a quick little mountain bike ride route that I have come to call the "Nap Time Ripper". I can spend all morning looking after my boy and when I put him down for his daily nap around 1pm I take the baby monitor down to my lovely wife. She works from home in a basement office at our house, which is also a really integral part of the "Nap Time Ripper". If she had to work from the big city high rise office down in Salt Lake City all the time the "Nap Time Ripper" would not be feasible. ^Once the little man falls sound asleep, its time to sneak in the rip ride. ^I pedal out from the workshop behind my house and down the sidewalk to the street. 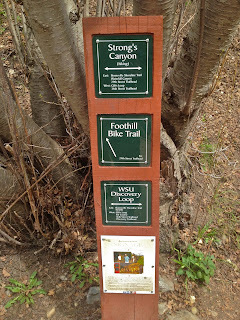 ^I work my way up a quick and steep uphill pedal through the neighborhood to access the trailhead. The roll up through the neighborhood takes me about ten minutes to complete. 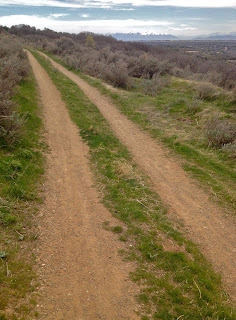 ^After I brave the traffic of the uphill streets I jump onto this gravel road just passed the 36th Street Trailhead. 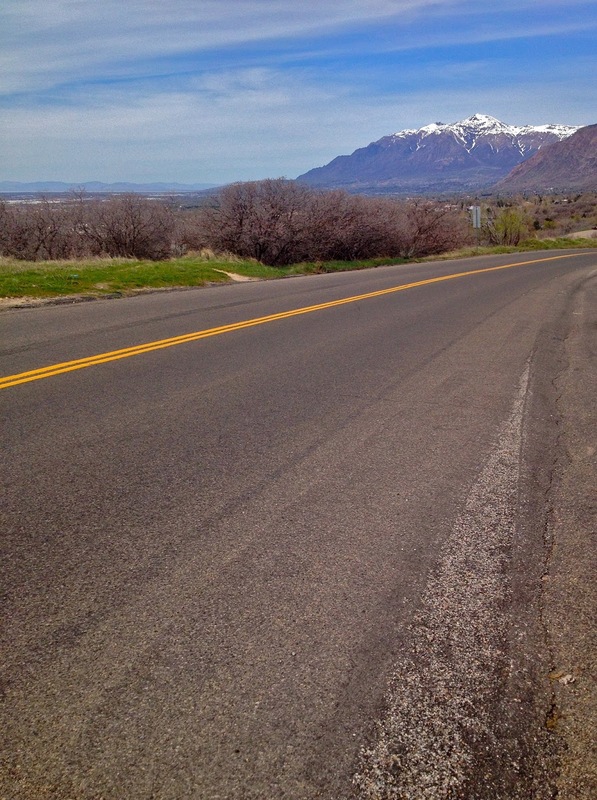 The gravel road affords the opportunity for more head down grueling climb in the pain cave of pedaling at a steady mind-numbed pace. 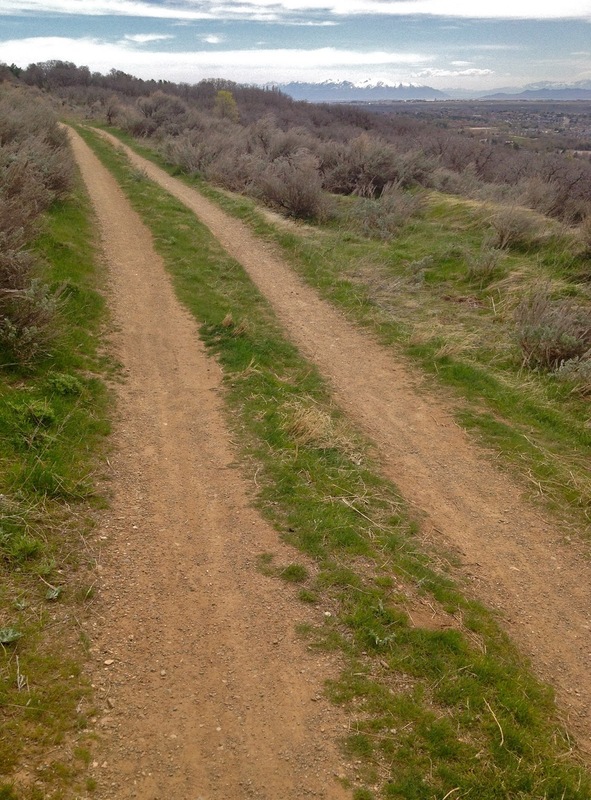 ^Atop the gravel hill is a small bridge to the left that connects to the single track system of the Ogden City east bench. It affords a slight relief from the climb and a trail sign for orientation. 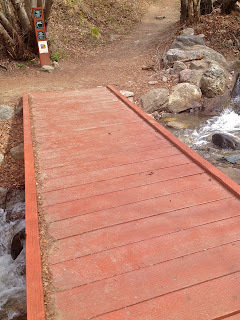 ^Stay right on the Foothill Bike Trail, enjoy the slight relief in the climb, and then quickly link up to another right hander onto the new uphill-only bike trail the further grueling Blue Ribbon Trail. 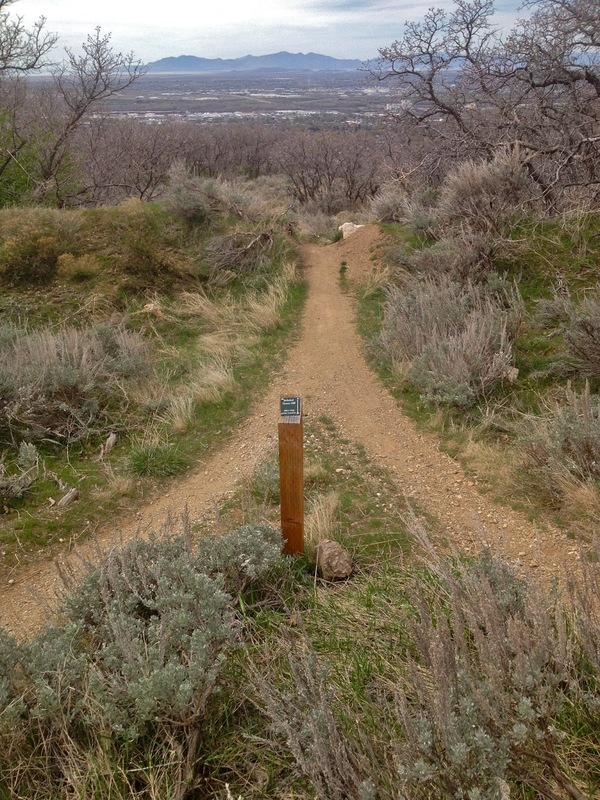 This one is single track switchbacking up the steep foothills intersect with the Bonneville Shoreline Trail running north and south along Ogden City's east bench. ^Pictured above is some of the minor techiness on the traverse south on the Bonneville Shoreline Trail weaving into and then out of Strong's Canyon. ^The single track emerges from Strong's Canyon dropping down onto some double track for a while that continues to traverse south along the east bench. 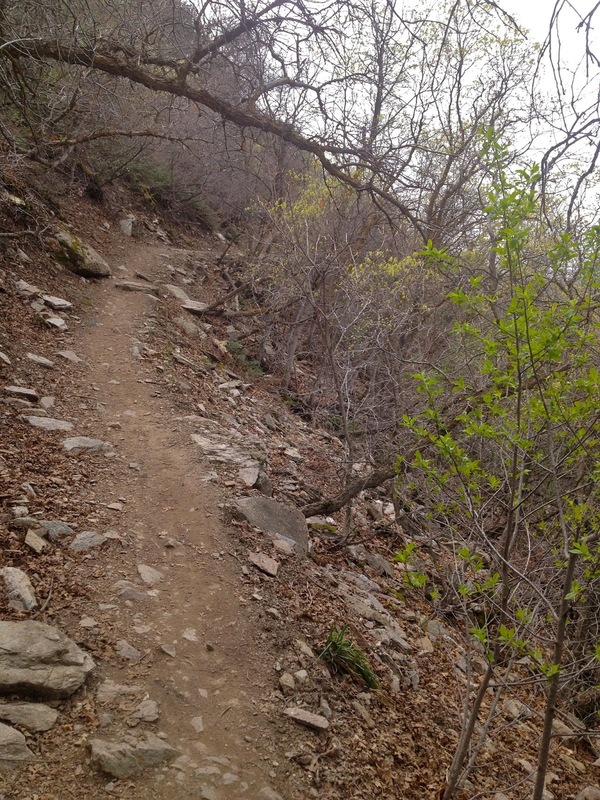 It offers up more spectacular Ogden City views in conjunction with mellow terrain that affords the ability to look up from the trail to pay a little attention to the scenery while pedaling along. 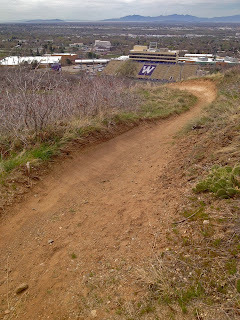 ^Until eventually coming up to the "Bobsled Downhill" just above the Weber State University Campus. 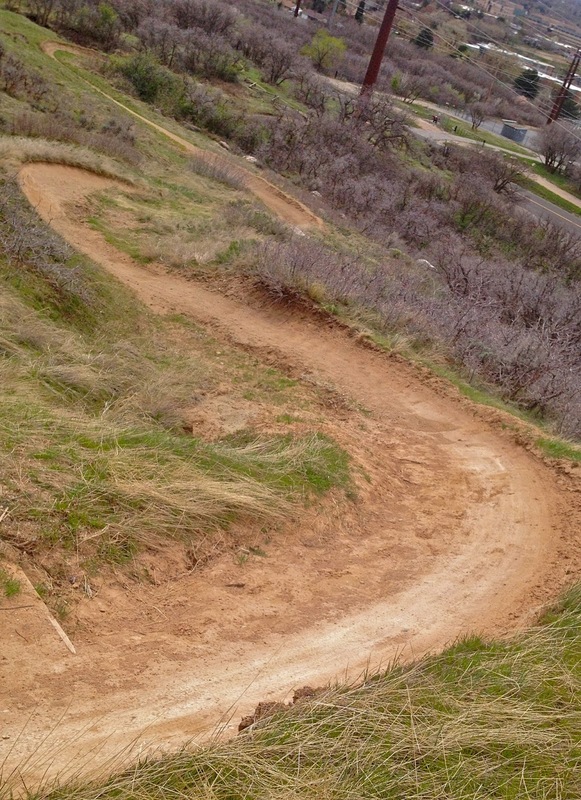 This fun little downhill drops back down towards 36th Street and the Weber State University Campus. ^The downhill trail can sometimes be washed out from rain water rushing down the trail, but this time it was smooth as it ever is. 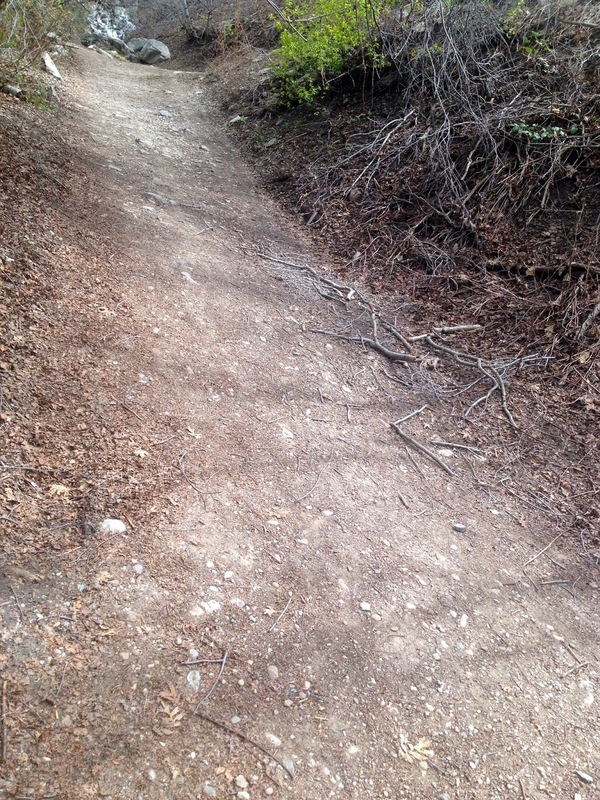 The berm turns and winding downhill relief is a blast when this trail is in good shape. 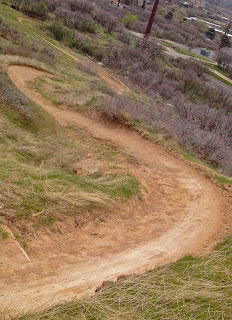 In the photo above a view of the Weber State University football stadium greets this bank turn down into my favorite section of the downhill. ^My favorite section. Roll and flow! 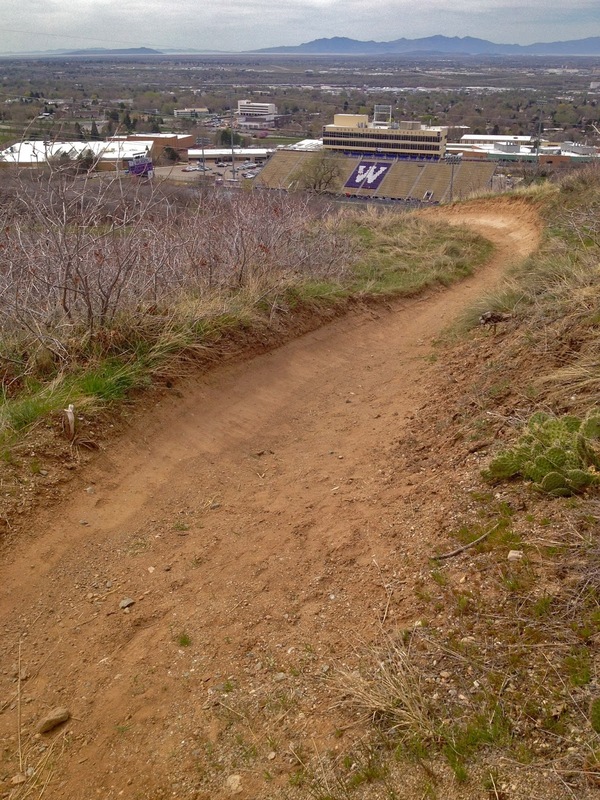 ^The Bobsled downhill spills back out onto 36th street above Weber State University. At this point I just sit back and roll down the hill back with traffic down towards my neighborhood. ^All downhill back home makes for a nice roll down through the spring tree blossoms and friendly folks all seemingly outside their homes cleaning up, cutting grass, or simply lounging about enjoying the lovely weather on a day like this one. It is just that time of year. ^Finally arriving at my house down on the corner of Fowler and Franklin. 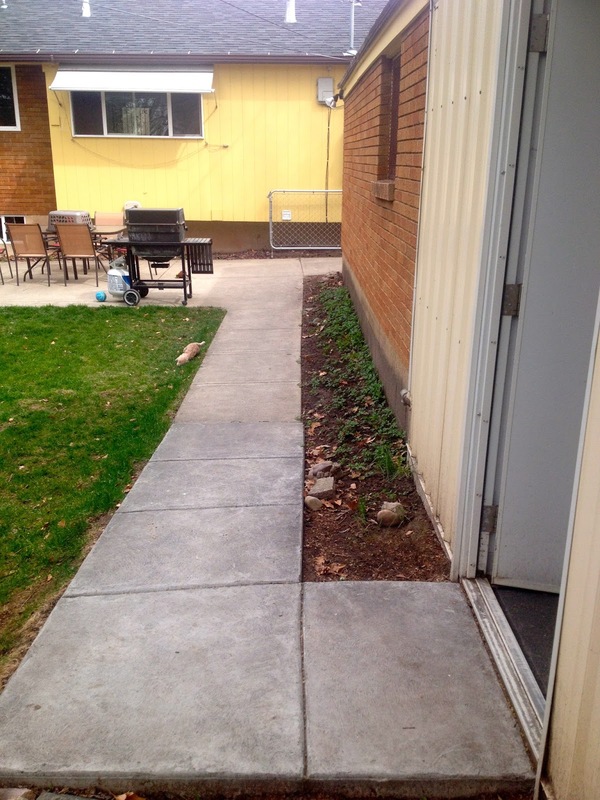 Our cozy little home not only boasts trailhead access just a ten minute pedal away, but the affordability of Ogden City makes it all within reach of a career ski bum like me. Access like this in most mountain towns comes with a much higher price tag. 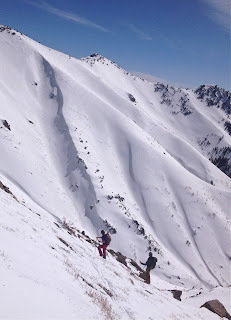 Twenty-five minutes drive to Snowbasin and a ten minute pedal to the east bench trail system in just one of the many reasons that Powder Magazine recently named Ogden the number one ski town in America. 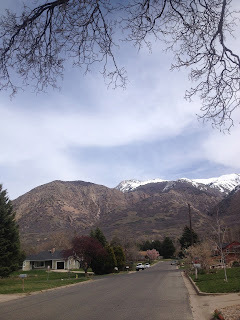 That affordability I mentioned is another, and the City's commitment to outdoor recreation and Outdoor Industry companies rounds out yet more factors that make Ogden a great city for folks like me. 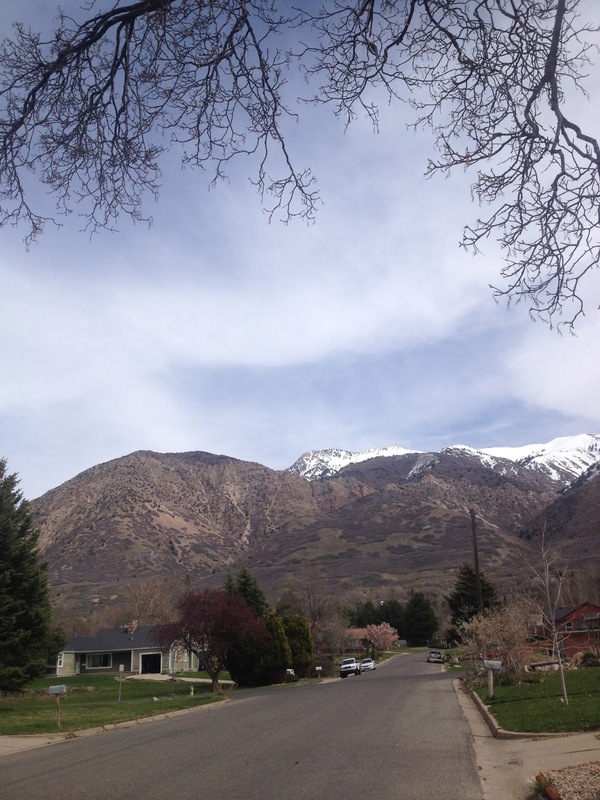 There are a lot of good reasons that Ogden is a great place. 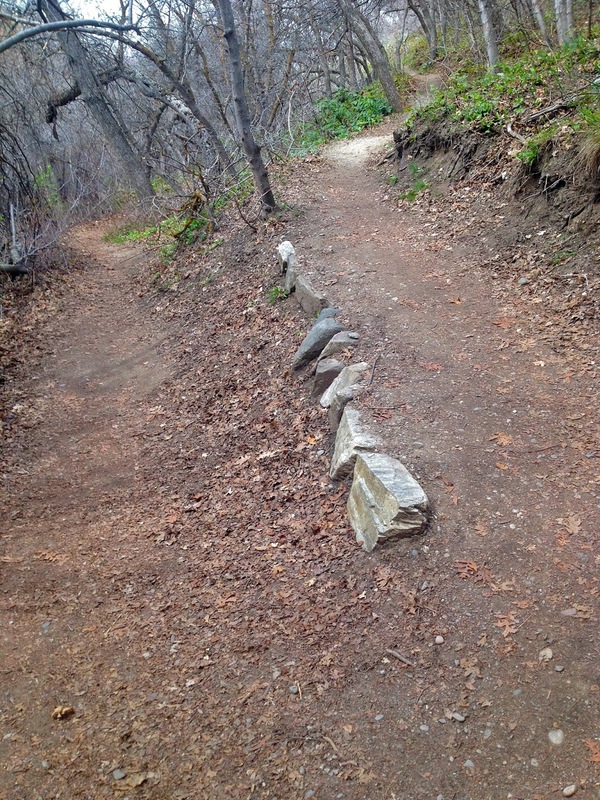 I guess my "Nap Time Ripper" mountain bike ride route is just one more.